Breakfast foods are my favourite type of foods so I always look forward to my breakfast and am constantly coming up with new breakfast meals. 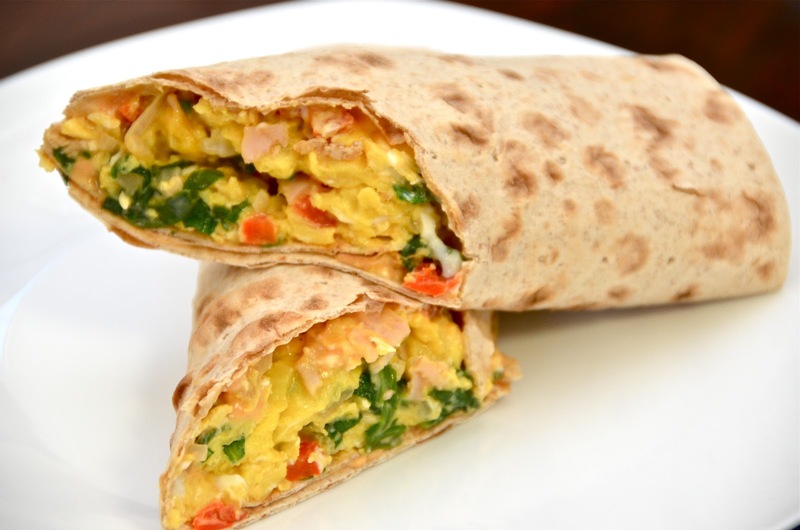 I really wanted to share with you all a breakfast wrap that I have been having lately that is so easy but really delicious. Step #1- Cook the egg and vegetarian bacon (or real bacon if you aren't vego) in a frying pan. Add the shallots, tomato and spinach later on when the egg and bacon is nearly finished cooking. Step #2- Add the mixture to a wholemeal wrap then use a sandwich press to crisp the wrap. Step #3- Season with Himalayan pink sea salt and black pepper then serve. Really simple but too delicious to not share with you all! I love having this for breakfast whenever I feel like something really hearty and filling. Wow, I used to eat these all the time and had forgotten about them :) Thanks for the reminder - will be packing up wraps at the supermarket tomorrow along with some shallots which I've never eaten before in wraps (I usually use just regular onion).